It measures the share (%) of the total population with access to improved drinking water sources. 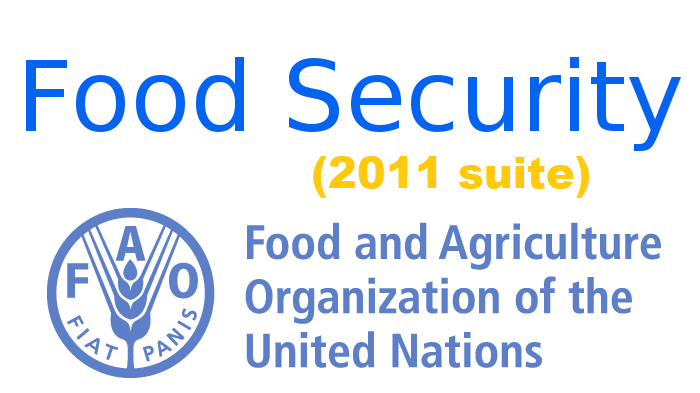 This indicator provides information useful to assess the utilization dimension of food security outcomes. It corresponds to the MDG 7 target 7.C: "halve by 2015 the proportion of people without sutainable access to safe drinking water and basic sanitation". The indicator, originally compiled by the WHO/UNICEF Joint Monitoring Programme (JMP) for Water Supply and Sanitation (http://wssinfo.org), is also available on the World Bank site (http://data.worldbank.org/indicator/SH.STA.ACSN).